Located in the village of Wenvoe, in the beautiful Vale of Glamorgan, within 4 miles of the centre of Cardiff, Wenvoe Pétanque Club provides a warm, friendly welcoming atmosphere and stiff competition in the ever-growing, popular sport of Pétanque! Wenvoe Pétanque Club is lucky enough to boast two separate Terrains - the larger of the two is based at Wenvoe Playing Fields in Station Road - this is used mainly for social play (Sunday mornings) and for hosting larger events and can comfortably accommodate up to 16 Pistes. The smaller, but more challenging, Terrain is located in the car park of the Wenvoe Arms public house, which is situated in the heart of the village. A recent expansion of this Terrain, following the kind donation of gravel from CEMEX UK Materials Ltd, has meant the Club is now able to host some competitions at the Wenvoe Arms with 12 Pistes available. The Club currently has in a membership in excess of 30, most of whom are regular players, and fields 3 Teams in the South Wales League. Wenvoe Playing Fields are located in Station Road East, Wenvoe. From M4 Junction 33 take the A4232 towards Cardiff. In approximately 3 miles take the Culverhouse Cross exit and, at the roundabout take the 3rd exit onto the A4050 towards Barry. Continue along this road and cross 3 roundabouts. After the third roundabout (the Walston Castle public house & Premier Lodge Hotel are on the right hand side) you'll see a footbridge across the road approximately 1/4 mile ahead. As you approach the footbridge you will see a left turn with a sign pointing to the Ely Rangers Football Club. Take this left turn into Station Road East, and the Playing Fields are the first turning on the right approximately 100 yards along the road. 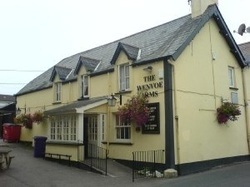 The Wenvoe Arms Public House is located in Old Port Road, Wenvoe. Following the directions for the Playing Fields,at the 3rd roundabout on the A4050 with the Walston Castle on your right, turn right at the roundabout and enter the village of Wenvoe. Follow the road through the village for approximately 1/4 mile and the Wenvoe Arms is on the right hand side of the road. As always, we are indebted to the Chris and his staff at the Wenvoe Arms for allowing to play in their Car Park, and for their continued support.